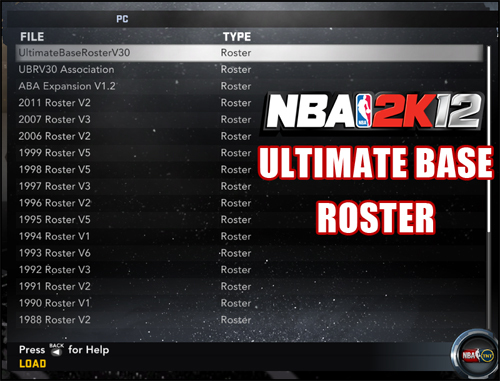 Note: This custom roster is only available for NBA 2K12 PC version. • Added the new 2013 New York Knicks and Miamu Heat jerseys and the San Antonio Spurs new alternate jersey. • Added 1987-1988, 1989-1990, and 1993-1994 Roster Mods. 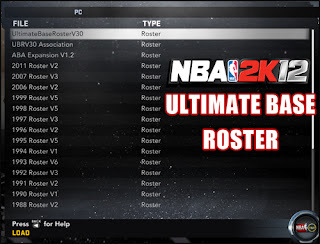 We now have 14 full season mods, the ABA mod, and the UBR all compatible without affecting regular NBA 2K12 files.